Supreme is one of the biggest hyped brands of the moment and highly sought after! And besides their really nice clothing they also come up with unique collaborations and lifestyle pieces. Whether it is a kayak, a life vest or Mason Jars – we want it all. 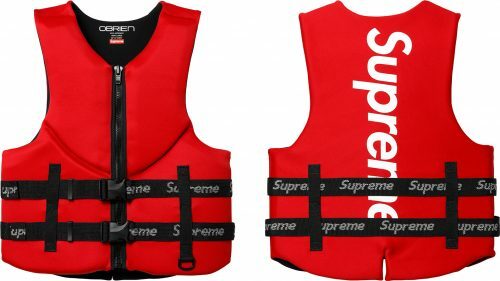 If you want Supreme, Buyandship can help you! Wait for the new releases at the Supreme Official US website and send it to our US warehouse. We will deliver it right to your doorstep. Ready for some Supreme in your life? Shop the official website and ship it to our US warehouse! Or shop at one of our fave online shops MLTD, they have a big selection of Supreme Items!